A judge in Dane County has ruled that UW Oshkosh transactions with a foundation pass constitutional muster. A second judge has sided with the UW Oshkosh Foundation on the issue of whether the financial assistance promised by the university violated the Wisconsin Constitution. 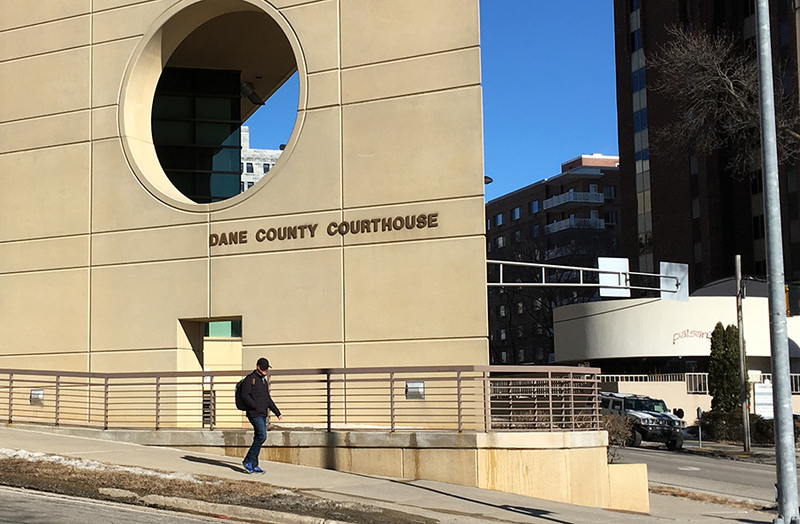 Dane County Circuit Court Judge Richard G. Niess ruled Nov. 6 that the UW System Board of Regents has incorrectly interpreted state law in arguing that the constitution prohibits the kind of agreements made between the foundation and UW Oshkosh. His reasoning echoes that of U.S. Bankruptcy Judge Susan V. Kelley, who has been overseeing the foundation’s bankruptcy case and has ruled that the state owes the foundation millions of dollars. Niess made it clear that he did not buy all of Kelley’s legal opinion, and parts of his ruling were favorable to the UW System. Niess’ ruling came in a case involving First Business Bank, which financed one of the university’s biodigester projects, and Bank First National, which financed the construction of the Alumni Welcome and Conference Center on the Oshkosh campus. The constitutional question is critical to the legal morass the university is in. That’s because the UW System has hung much of its legal and public relations strategy on the argument that promises by UW Oshkosh officials to support the foundation were prohibited by the state constitution. In addition to making this a primary defense against the claims from the foundation, the UW System advanced the constitutional argument twice in its initial civil lawsuit against former Chancellor Richard Wells and former Vice Chancellor Thomas Sonnleitner. The same constitutional arguments are contained in the subsequent criminal case against the two. It’s not clear how far these cases will go if the constitutional underpinning is removed. But the state’s legal setbacks so far against the UW Oshkosh Foundation are directly tied to the weakness of the constitutional argument. Niess is also the judge in the civil case against the former university officials. The foundation’s argument all along has been that it was operating on behalf of UW Oshkosh and at its direction. The nonprofit provided support for a range of real estate projects, including a hotel, a sports complex, a couple of biodigesters and a campus conference center. When some of these created a cash drain, the foundation asked the university to make good on written promises to cover the shortfall. But the UW System said that it could not provide funds to a private organization, a position that was almost immediately criticized as legally suspect. Niess’ ruling “reiterates at the very least that the law is not as clear as the state in the civil case makes it out to be,” Dall’Osto said. It also raises questions about the state’s criminal case. The legal doctrine known as “void for vagueness” holds that a law cannot be used to prosecute someone if it isn’t clear what the law requires a person to do. In this case the question becomes “how you conform your conduct to something that is unconstitutionally vague,” Dall’Osto said. While this language lends support to the foundation’s position, Niess was critical of parts of the bankruptcy decision, which said the UW System had to stand behind UW Oshkosh’s financial promises. Chief Judge William C. Griesbach of the U.S. district court in Milwaukee agreed to put a hold on Kelley’s decisions so that he could consider arguments from the foundation and the UW System. An earlier version of this post incorrectly identified which bank had financed which project.